Way, Thomas Robert. 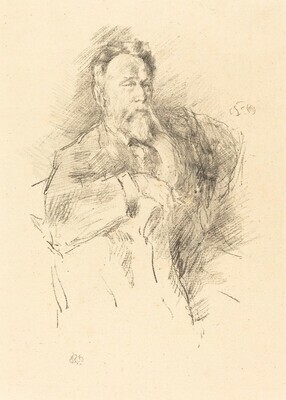 Mr. Whistler's Lithographs: The Catalogue. London: G. Bell and Sons, 1896; New York: H. Wunderlich & Co., 1905, no. 127. Stratis, Harriet K., and Martha Tedeschi, eds. The Lithographs of James McNeill Whistler, vol. 1. Chicago: Art Institute of Chicago, 1998, pp. 461-463, no. 163.